What causes a home to sell quickly and for the most money possible? This may come as a surprise, but it's not your Realtor or their marketing plan. It's not drone photography, open houses, or color brochures either. 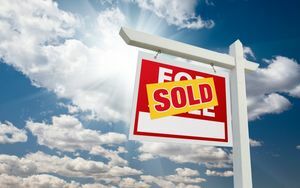 In fact, very little of what most people think goes into selling a house, actually sells the house! What really makes a house sell for top dollar is correctly postioning it in the marketplace. Using this strategy (it's almost like a real estate magic trick), I sell my listings quicker, and for more money. Sometimes...way more than fair market value. Would you say that's definitely what you're looking for? If so, I'd love to talk with you about your property. Please contact me directly to set up a free consultation today!